You are working out trying to get in shape, at the same time you are trying to avoid getting sick. Yes- gyms and health clubs are breeding grounds for bacteria. I came across this aricle, “How to Avoid Bacteria in the Gym” by K. Cossaboon. The following information was taken from this article. I think the information contained in this summary will help you take the proper precautions to minimize exposure to bacteria in the gym. 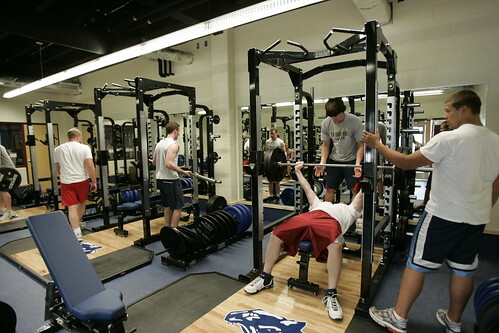 Gym Equipment – The moisture left behind from sweat can be a breeding ground for bacteria. Towels – Gyms and health clubs are not governed by the same standards as hospitals with respect to temperature regulations. Be aware that your towel may not be the cleanest. Saunas and Whirlpools – Typically, crevices and gaps are places for bacteria to grow with the warmer temperatures. Pool – Check with the management team to determine how often the pool is drained and cleaned. You might be surprised. Finally some actions that we can do as gym users to help keep the spread of germs and bacteria down. Wipe down machines with disinfectant wipes. Don’t use your towel. If wipes are not available to you, bring two towels. Bring your own towel from home. This way you will know its clean. Wash and sterilize your drinking bottle from home. Wear flip flops in the shower. You may also want to consider taking your shower at home too. Sit on a towel in the sauna to avoid contact with the seating. Change your sweaty clothes, especially if you cannot shower right away to avoid bacteria from the health club.